Industrial Plant Autoflowering CBD cannabis seeds by Dinafem Seeds belong to a feminised autoflowering marijuana strain that originates from the cross of an Industrial Plant Auto and a CBD-rich auto. Dinafem had long been itching to create the auto CBD version of one of its pet strains, nationally and internationally appreciated since its creation. The resulting hybrid is a truly innovative proposal, now available in our online store for everyone to enjoy. Industrial Plant Autoflowering CBD is a marvellous option for breeders on the lookout for a not-so-potent cannabis seed to add to their collection. 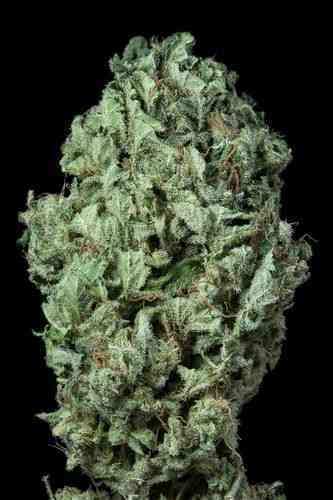 The gentle effect it provides and its sweet fruity organoleptic qualities are the hallmark features of such an outstanding strain. This medium-sized plant is noted for the large number of buds that pile up in the upper part as well as for the several surrounding branches it develops that end up laden with plenty of compact buds overflowing with resin. However, we should shine a spotlight on the various therapeutic properties that its CBD-rich buds possess, such as the ability to alleviate a wide variety of physical and mental disorders. In addition to all the aforementioned advantages, we cannot fail to say that users with little tolerance to cannabis will at last be fully satisfied. When growing Industrial Plant Autoflowering CBD marijuana seeds, the homogeneity and stability shown by every individual is undeniably amazing, and so are their heavy-yielding properties, too. Adding 1/3 of coco coir to the substrate is recommended to boost not only the plant's metabolising processes but also the development of healthy roots. Thanks to its 1:2 THC/CBD ratio (5% / 10%), it can be consumed on a daily basis without suffering from concentration or physical problems that may interfere with everyday life. 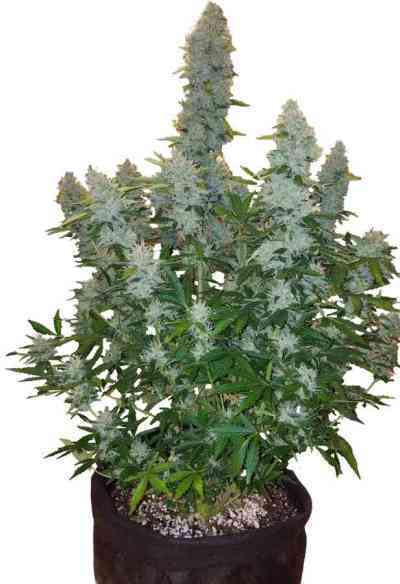 Industrial Plant Autoflowering CBD has a deep aroma and a really pleasant taste with hints of sweet fruits, Skunk, citrus and species that is a real treat for the senses. The physical and mental effect it provides is moderate and not as long-lasting as usual. As a plus, it leaves no trace of pain or discomfort later on. 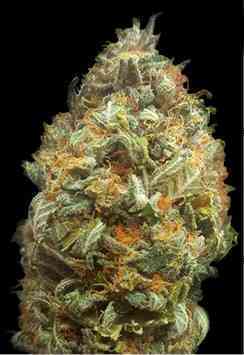 Summing up, it is a marvellous cannabis seed that alleviates muscle pain and helps you sleep deeply. 2nd prize Best Autoflowering, High Life Cup Holland 2016.